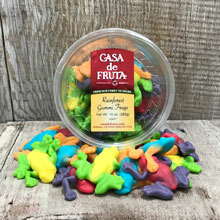 Colorful Rainforest gummi frogs. Packaged in a 10 oz. tub.